For those of you who have never heard of leathercraftlibrary.com it is a sister website of Tandy Leather Factory. Tandy Leather Factory is a national brand that focuses on leather crafting, it is almost like a Michael’s but specifically for leather. 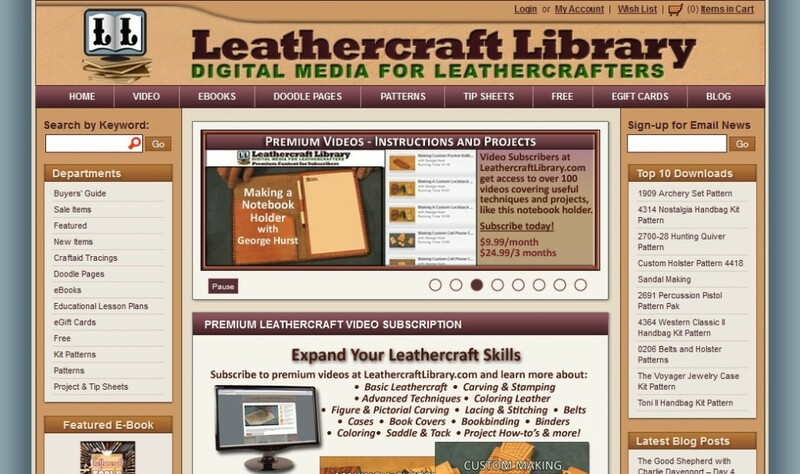 Leathercraft Library is the eCommerce website that focuses on subscription tutorial videos and downloadable educational content for the leathercrafting community. Since the design was based off of their original Tandy Leather website it didn’t take a lot of time because instead of coming up with a fresh design we basically just matched their existing theme. However, this was a highly customized ASPdotNet Storefront project where most of the time spent was in modifying the checkout logic, payment logic, and building custom promotional features.